Law-enforcement officials have seized billions from citizens through civil forfeiture. Is that process being abused? A controversial legal process that enables law-enforcement agencies to seize cash, cars, property, and other assets from people who are merely suspected of criminal activity. The owner doesn’t have to be arrested or charged—the arresting officer only needs to demonstrate “probable cause” that the asset is linked to criminal activity, most often drugs. Once something has been seized, the owner cannot get it back unless he or she goes to court to prove it was not a proceed of crime. The abuse of this process by local and state police and the U.S. Justice Department has sparked a growing backlash among both Democratic and libertarian-leaning Republican members of Congress, who say the process is a flagrant breach of constitutional due-process rights, and that it gives law-enforcement agencies a powerful incentive to act unscrupulously. “It’s simply not right,” says Southern Poverty Law Center attorney Emily Early, “for the government to take and keep someone’s money, vehicle, or other property without having to prove any wrongdoing by the owner.” Conservative Supreme Court Justice Clarence Thomas recently agreed, saying the forfeiture system “has led to egregious and wellchronicled abuses” and should be reviewed by the high court. What about at the state level? The evidence suggests that it’s not. People often can’t try to retrieve seized assets because they don’t have enough money to hire a lawyer for a long, grueling battle. The value of assets being seized, moreover, indicates that many forfeiture targets are hardly major drug kingpins. And abuses of the system are well documented. 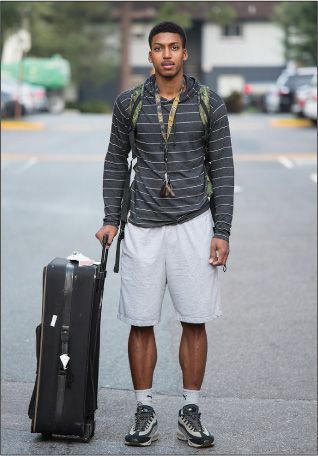 In 2014, cops at Cincinnati Northern Kentucky airport confiscated $11,000 from a student named Charles Clarke because they said his suitcases smelled of marijuana; the cash was his life savings, and it took him two years to recover the money. In 2012, police wrongly confiscated $17,550 from a restaurant owner in Virginia. By the time he recovered his money, 12 months later, his business had gone bust because he lacked capital. Who’s pushing back against forfeiture?